The Elk River Writer’s Workshop brings together prominent writers and students for four days of seminars, workshops, lectures and readings in a small group environment. 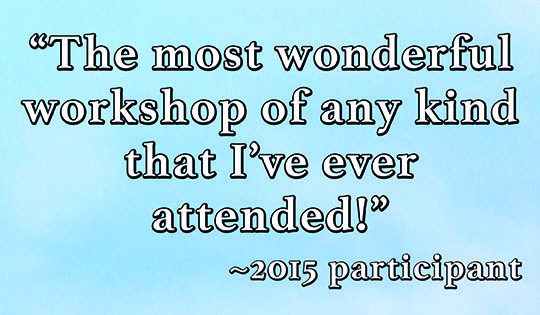 The 2016 workshop takes place August 8 – 11, at the historic Chico Hot Springs Resort in Montana’s spectacular Paradise Valley. Chico is tucked between the Absaroka Mountains and Yellowstone River, halfway between Yellowstone National Park and the literary and artistic community of Livingston, Montana. Students who are accepted to the program may choose among workshop formats and faculty. This year, we are excited to welcome 2016 Henry David Thoreau award winner and Chicksaw poet Linda Hogan; bestselling novelist Jamie Ford; PEN Award winning author Nina McConigley and two-time Pulitzer Prize nominee Craig Lesley. Click here for more information on faculty. Our faculty members are outstanding in their fields, with vast and varied experiences in addition to their writing expertise. The small class size and intimate environment encourages the exchange of knowledge, inspiration and support from professional writers and fellow students. 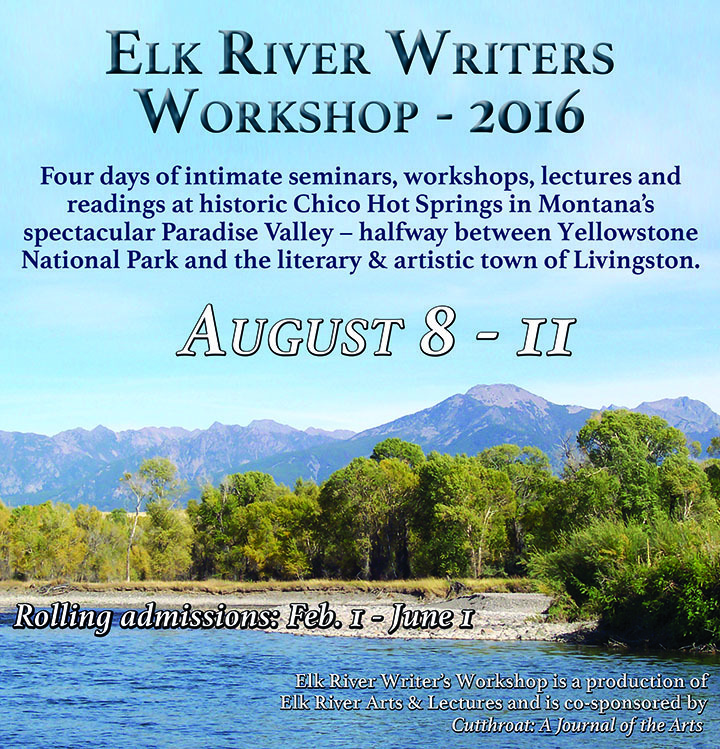 If you are passionate about writing and inspired by wild landscapes, the Elk River Writer’s Workshop is for you. Elk River Writer’s Workshop is a production of Elk River Arts & Lectures, a non-profit organization dedicated to bringing renowned writers, artists and lecturers to Livingston for both public and school presentations to provide educational, entertaining and edifying opportunities for the people of southwest Montana. The workshop is co-sponsored by Cutthroat: A Journal of the Arts. That’s great! Just click the “Admissions” tab on the top of the page for details on how to apply. Is the Elk River Workshop open to international participation? I write poetry. Do you except poet applicants are you strictly looking for novel based writers or any type of longer literature form other than poetry? The workshop is open to writers in any genre, including poetry. Elk River Arts & Lectures, Livingston, Montana. All content copyright 2015.